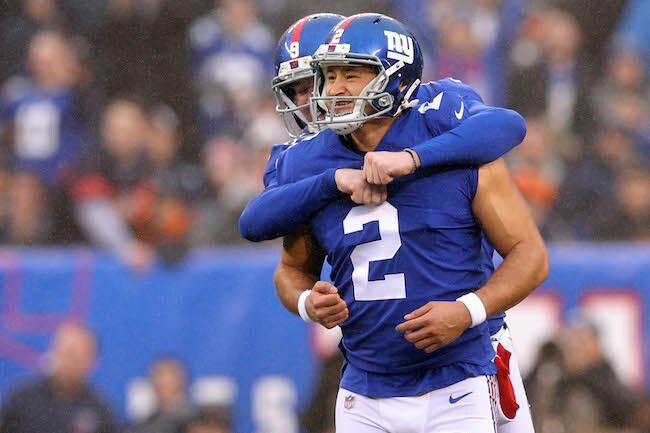 The New York Giants have officially announced that they have re-signed exclusive rights free agent place kicker Aldrick Rosas in advance of the free agent signing period that begins on March 13th. Aldrick likely signed his 1-year exclusive rights free agent tender. Rosas missed only one field goal in 2018 and made the Pro Bowl. Rosas converted 32-of-33 kicks (a franchise-record 97 percent). He also kicked a team-record 57-yard field goal. Rosas was 31-of-32 on extra point attempts. Fifty-one of his 85 kickoff attempts (60 percent) resulted in touchbacks. Rosas was originally signed as an undrafted rookie free agent by the Tennessee Titans after the 2016 NFL Draft. He did not make the team. The Giants signed him to a reserve/futures contract in January 2017. 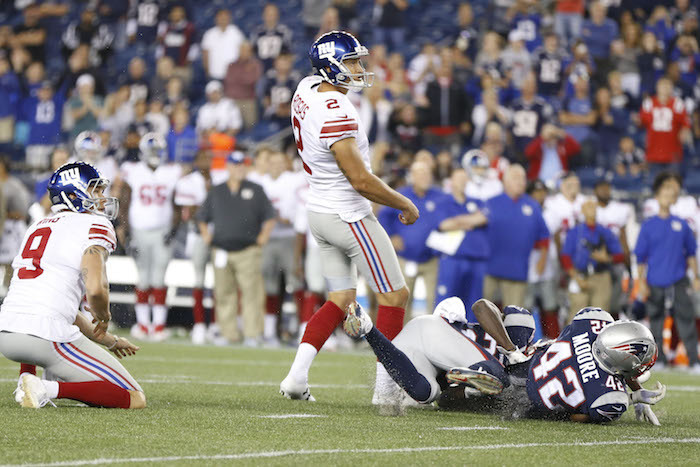 He had a poor first season with the Giants, converting on just 72 percent of his field goals and 87 percent of his extra points. The Giants chose to not tender DE Kristjan Sokoli and LB Jordan Williams, thus making them unrestricted free agents. Tendered exclusive rights free agents cannot sign with other teams unless the tender is revoked. The Giants already re-signed restricted free agent QB Alex Tanney to a 2-year deal. The team chose not to tender CB Antonio Hamilton, thus making him an unrestricted free agent. It is not clear if the Giants have tendered restricted free agent OC Spencer Pulley. Tendered restricted free agents are subject to a right of first refusal and/or draft choice compensation in favor of their prior club. Free agency officially begins on March 13th although teams can begin negotiating with players on other teams as of March 11th. 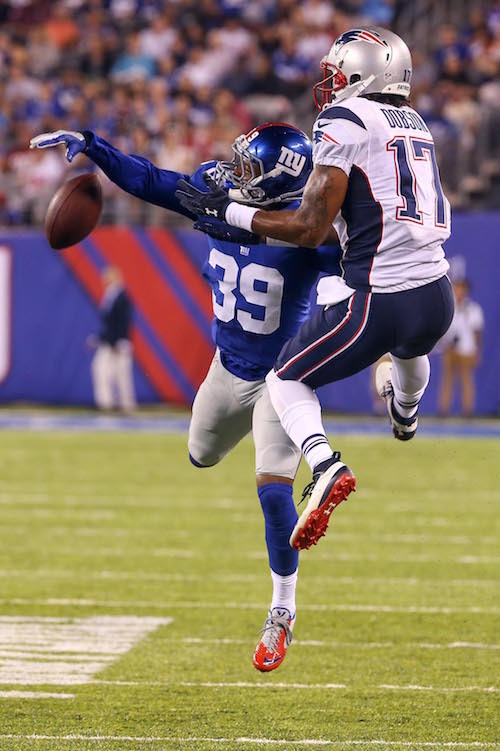 The New York Giants have placed wide receiver/returner Quadree Henderson on Injured Reserve. Henderson fractured his shoulder during Sunday’s game against the Philadelphia Eagles. The 5’8”, 192-pound Henderson was originally signed as an undrafted rookie free agent by the Pittsburgh Steelers after the 2018 NFL Draft. The Steelers waived him before the season started. 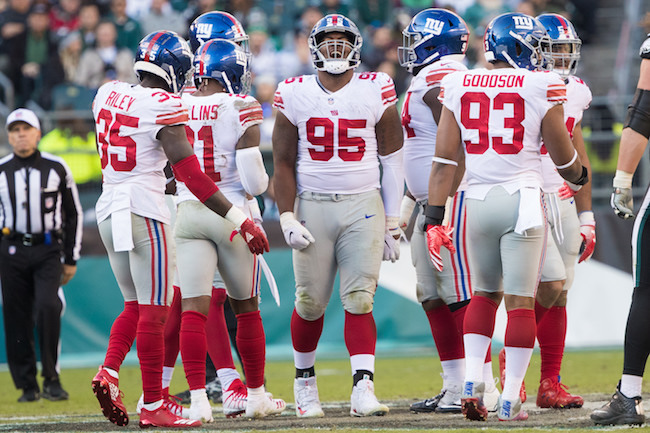 The Giants signed Henderson to the Practice Squad and then the 53-man roster in October, and then back to the Practice Squad and the 53-man roster again in November. 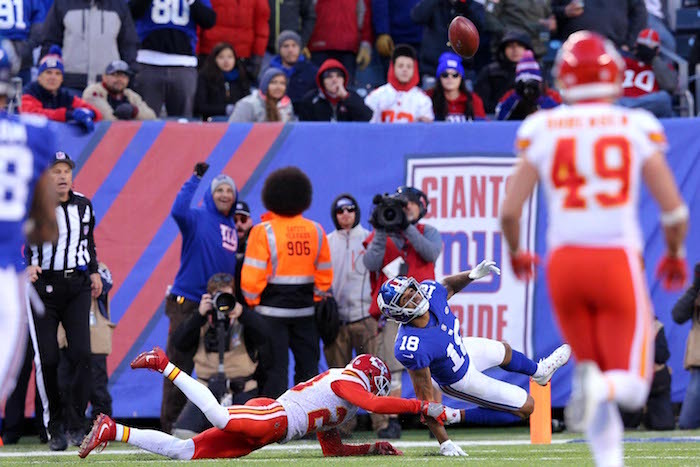 Henderson played in five games for the Giants and returned five kickoffs (22.4 yards per return average) and nine punts (7.6 yards per return average). 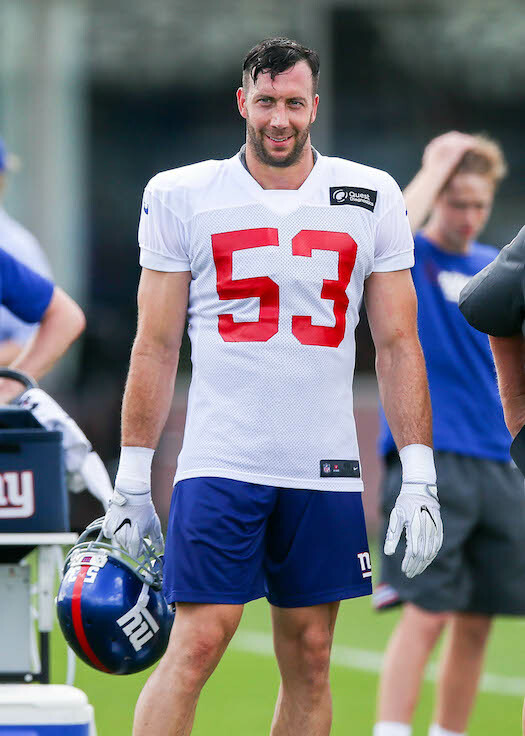 To fill the roster vacancy, the Giants signed tight end Garrett Dickerson, who the Giants signed as an undrafted rookie free agent in June. Dickerson began the season on the team’s Practice Squad, was added to the 53-man roster, re-signed to the Practice Squad, and cut from the Practice Squad last week. The 6’2”, 244-pound Dickerson is a versatile player who can play a variety of positions including tight end, fullback, and H-Back. Though he lacks ideal size, he is a good athlete with fine hands. A: Yeah, really the part of the game that was disappointing for me was the first couple drives of the third quarter. We had three penalties in one drive. We had a dropped pass that got us back on schedule – would’ve gotten us back on schedule – and then we had the long third down situations, which certainly plays into the hands of the team that has an excellent pass rush. What happens is, they’re controlling the ball. The third quarter kind of goes away quickly, so what I would say is this, if we didn’t have those penalties, if we didn’t drop that pass, we would have been able to stay on the field and get to doing some of the things that we would have liked to have done in the third quarter that we did in the first and second. Then all the sudden, it’s in the fourth quarter. That can happen in a lot of games. The Giants are 0-4 in the NFC East. 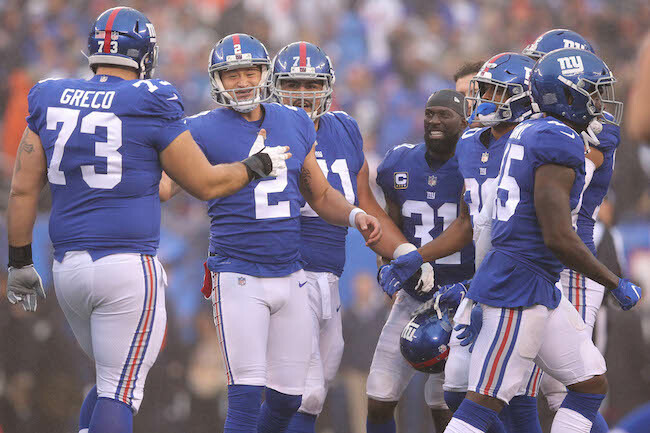 The Giants have lost five in a row, nine of the last 10, and 18 of their last 22 games against the Philadelphia Eagles. The Giants have lost five consecutive games in Lincoln Financial Field. 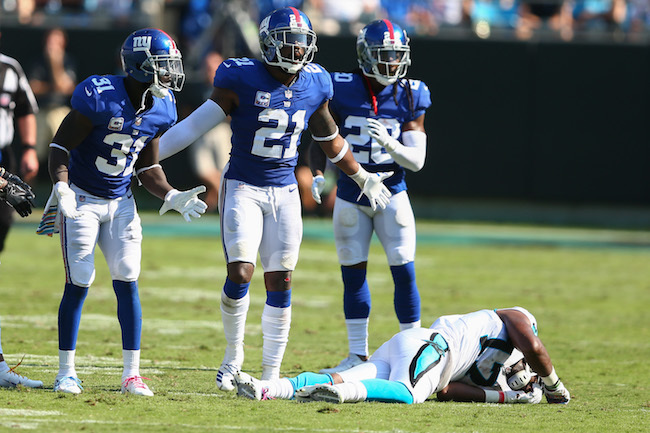 The Giants did not force a turnover for the fourth time this season. They are 0-4 this season and have lost their last nine games in which they did not have a takeaway. The 100-yard rushing games was Saquon Barkley’s fourth of the season, a record for a Giants rookie. He had been tied with Eddie Price, who ran for more than 100 yards in three games in 1950. Barkley increased his season total to 829 rushing yards. 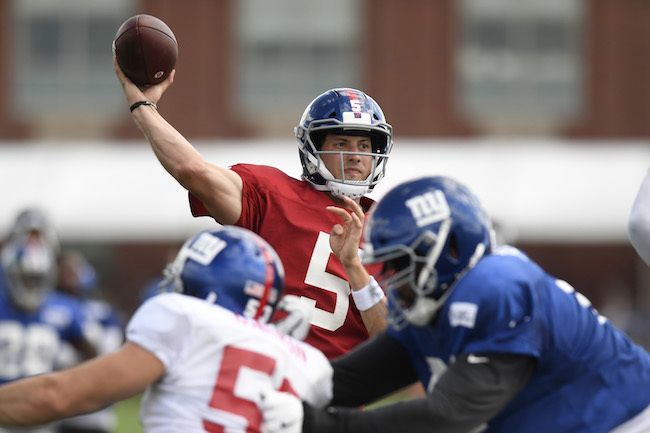 That moved him ahead of Ron Dayne (770 yards in 2000) and into second place on the Giants’ single-season rookie list, just one yard shy of the record-holder, Hall of Famer Tuffy Leemans, who rushed for 830 yards in 1936. Barkley has scored 12 touchdowns, tying the Giants’ rookie record set by Bill Paschal in 1943, and matched by Odell Beckham, Jr. in 2014. Barkley increased his yards from scrimmage total to 1,410 (829 rushing, 581 receiving). That is also a Giants rookie record. Beckham had held the mark with 1,340 yards from scrimmage in 2014.